There can be many reasons why you’re thinking about starting a job search, and there are plenty of good reasons to quit your job. Your career with your current employer could feel like it’s going nowhere, you’re bored, and the position isn’t challenging, you would love to make more money, or perhaps you want to do something different with the next phase of your working life. Before you think about starting an active job search, turning in your resignation, and giving two weeks notice, take some time to investigate what the job market is going to be like for someone with your credentials. Job searching is a personal endeavor, and even a good job market overall might not translate into success for you if you lack in some of the top skills employers are looking for. That’s why it makes sense to spend some time researching if you don’t have to find a job immediately. Start slowly, find out what positions are available, and learn how you stack up against the competition. Consider starting a passive job search while you’re investigating options and getting prepared. 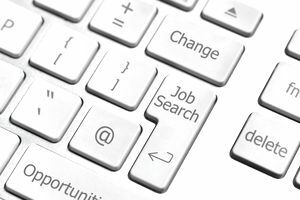 There are easy strategies you can implement at your current position to help make yourself well-positioned for a job hunt. Employers may start seeking you out and, if they do, that will make your job search even easier. The first factor to consider when starting a job search isn’t the unemployment rate, which is currently low. It’s what the job market is like for a candidate with your skills, experience, and education level. That depends on what type of position you’re seeking and the qualifications you have. It can be a little more complicated to figure out if you’re considering a career change or a job that’s a step or two up from your current role. There is a wealth of data online you can use to discover what you’re worth, what salary you should be looking for, which companies are hiring candidates like you, and what the pool of available job openings is like. Review these tips for checking on the job market before starting a job search, so you’ll be well informed and in a position to fast-track your hunt for a new job. Do you want a job in the same industry or are you looking for a change? Would you like a similar position to the one you have or are you considering a different role? Do you have the skills you need to be competitive if you’re making a change? If you’re thinking about a career switch, use these free career quizzes to generate some ideas. Once you have a list of options, you’ll be able to determine how easy it will be to find a new job in that field. One of the tricky parts of job searching is that it can be hard to calculate how long it will take to find a new job. The more you earn, the longer it can take. Candidates in a high-level position typically spend more time getting hired than an entry-level applicant. Your qualifications need to closely match the jobs for which you’re applying to up your chances of getting hired quickly. There are free salary calculators you can use to determine how much you are worth in today’s marketplace. Input your job title, company, location, education, and experience to get customized estimates of your salary potential. Also, use advanced search options on job sites to search by salary and job title to see if the results match your estimates and expectations. Once you know what you want to do, and how much you want to make, you can use the advanced search options to find job listings. Search by job title, experience, education, location, salary range, type of position, and more criteria to narrow down your options. Networking can help you learn more about the job market, and it can help you get hired. It can also help you find out more about possible career options, get the inside scoop on companies and jobs, and connect with people who can boost your career. If you haven’t built a robust career network, now is the time to get started on getting one in place. If your resume hasn’t been updated recently, take the time to give it a makeover. Be sure to include keywords and skills related to the type of job you’re searching for. Once you’ve written your first cover letter, you will be able to update and edit it to highlight your qualifications that are a match for the jobs for which you’re applying. It will be easy to customize it each time you apply. Before you put in an application, take the time to match your qualifications to the job. If you don’t have all the qualifications listed in the job posting, consider whether it’s worth your time applying. If there’s a strong applicant pool, you probably won’t be considered if you are short on job requirements. Most employers have job listings on their website. Create a list of companies you’d love to work for, use these tips to get (and stay) on their prospective employee radar, check them out on Glassdoor.com, and apply directly on the company website. It’s quick and easy to apply for positions on the major job sites like Indeed.com, Glassdoor.com, and Dice.com. You’ll have a head start because you’ve already taken a look at what jobs are available. If you have time, tweak your resume, so it’s a perfect fit, and write a custom cover letter for each position. Otherwise, edit the template you created, so it’s a strong match. Most job sites have apps you can use to simplify the process. Sign up for email job alerts to get notified of new postings as soon as they are listed. If you’re one of the first applicants to apply, you will up your chances of getting selected for an interview. Don’t slow down when you start getting emails or calls for interviews. You won’t know which jobs will result in job offers, so continue to move ahead with your job search until you have a job offer, you’ve accepted it, and it’s been confirmed by the employer.